Idear For Direct Fed Coral A nutrient package that stimulates feeding response. 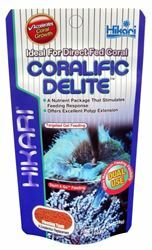 Coralific Delite™ is a revolutionary diet, specifically developed for corals and their unique nutritional needs, offering two modes of feeding; "Targeted Gel Feeding" directly on the mouth of a specific coral or "Squirt & Go™ Feeding" which allows the coral polyps to capture the food in the water column like they would zooplankton. Contains necessary nutrients inverts require, specifically; trace elements, proteins, vitamins and astaxanthin for vibrant coloration. Physical properties that are similar to floating zooplankton. 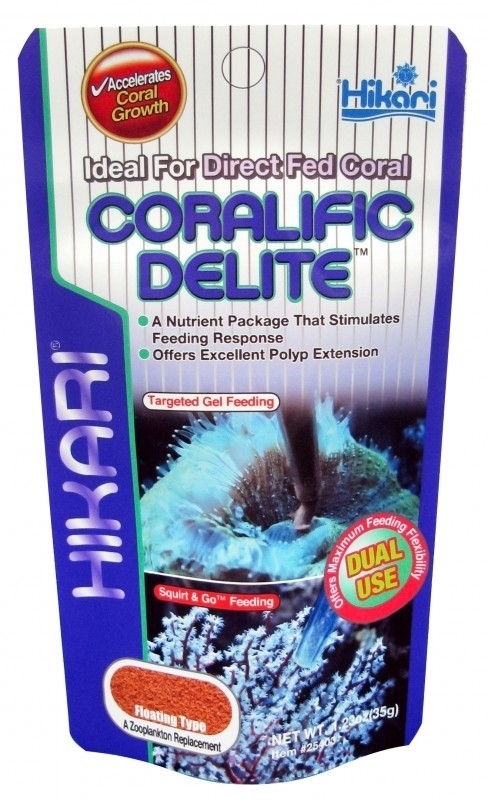 Unlike other powder-type foods, Coralific Delite™ will not dissolve rapidly or cloud your aquarium water. Mix two parts tank water to one part Coralific Delite™ to form a gel. 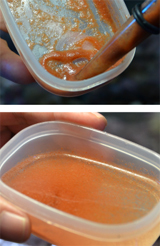 Wait 3 minutes to set then use a dropper to place mixture on the mouth of the coral to be fed. Ideal for many LPS (large polyp stony corals) and sea anemone which have larger mouths. Mix four parts tank water to one part Coralific Delite™ to form a low viscosity liquid with a creamy texture. Use a dropper to squirt food with a slow motion in the vicinity of the corals to be fed. The viscosity can be adjusted by increasing or decreasing the amount of tank water. Soft corals like horny coral and feather dusters which have a smaller mouth.